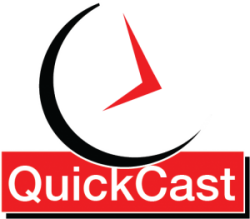 Welcome back to a new season of the Endurance QuickCast. We start our new recording season every November and as promised there are going to be some changes in all of the shows. With that being said I want welcome Josh Matthews owner of PowerMeterCity.com and my new co-host and sponsor of the Endurance QuickCast. Today Josh and I are going to talk about the things we saw and read about from Eurobike and Interbike. The good, the great, the odd and what could be the future of cycling but before we dive into the show, as usual, we have some notes and offers. Offer: Check out https://powermetercity.com/ for some excellent Black Friday sales this year! After a quick introduction, Josh and Rob jump right into a detailed discussion about Eurobike and Interbike shows from this year. So let’s talk about our favorite new and updated products. A resurrection of Brimm Brothers cleat based Power Meter? We talk about the excitement of the new stuff and new releases. Does 1x drivetrain make sense on a road bike? Next month’s show with Josh will cover the 2017 power meter review!